RentSolutions.com is owned and operated by MYM Solutions, Inc. We provide services under certain terms and conditions that we call Terms of Service ("TOS"). We may update these from time to time, without notice to you. It is your duty to check these when you use the site to insure that you comply with the current TOS. There may be other rules posted throughout the site which you will be required to observe. We currently provide users with rental and other related services (herein the "Service"). The services are provided "AS-IS" We assume no responsibility for information posted on this site originated by others, including, but not limited to users and advertisers. You are responsible for any and all costs associated with accessing this site. 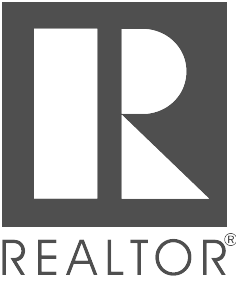 This Site and the services offered herein are provided solely as a forum and technical interface that connects movers, renters, homeowners and potential homeowners with locally licensed real estate broker, associate broker, agent or similar professional licensed by a state to transact real estate. By using this site, you agree that you are a prospective renter, purchaser or seller in the states where this real estate professional is licensed. By using this site you certify that you are 18 years of age or older, and you agree that any information that you provide to us (or others through this site) is true, accurate, current and complete information. If you provide any information that is untrue, inaccurate, not current or incomplete, or we believe that such information is untrue, inaccurate, not current or incomplete, we have the right to suspend or terminate your account and refuse any and all current or future use of our services. You should use your independent judgment of the merits of any individual, entity or information that you find on or through this Site. While we try to confirm that participating real estate agents, brokers and other house-related service providers are licensed to perform their respective services, we cannot and do not represent or warrant that any real estate agent, broker or other house-related service provider who offers services through this Site is licensed, qualified, or capable of performing any such service. All property data is obtained from what we believe to be reliable sources. It is provided subject to change, errors and ommissions all without notice. Specials are based on several factors, including but not limited to: credit, community availability, and season and are Not typical from July 15-Oct 1. WE MAKE NO WARRANTY THAT: (i) THE SERVICE WILL MEET YOUR REQUIREMENTS, (ii) THE SERVICE WILL BE UNINTERRUPTED, TIMELY, SECURE, OR ERROR-FREE, (iii) THE RESULTS THAT MAY BE OBTAINED FROM THE USE OF THE SERVICE WILL BE ACCURATE OR RELIABLE, (iv) THE QUALITY OF ANY PRODUCTS, SERVICES, INFORMATION, OR OTHER MATERIAL PURCHASED OR OBTAINED BY YOU THROUGH THE SERVICE WILL MEET YOUR EXPECTATIONS, AND (V) ANY ERRORS IN THE SOFTWARE WILL BE CORRECTED. NO ADVICE OR INFORMATION, WHETHER ORAL OR WRITTEN, OBTAINED BY YOU FROM US SHALL CREATE ANY WARRANTY NOT EXPRESSLY STATED IN THE TOS. Rentsolutions.com, the Rentsolutions.com logo, trademarks and service marks, and other Rentsolutions.com logos and product and service names are trademarks of MYM Solutions, Inc. (the "RentSolutions.com Marks"). Without MYM Solutions, Inc. prior permission, you agree not to display or use in any manner, the Rentsolutions.com Marks. The TOS constitute the entire agreement between you and MYM Solutions Inc. and govern your use of the Service, superseding any prior agreements between you and MYM Solutions Inc. You also may be subject to additional terms and conditions that may apply when you use affiliate services, third-party content or third-party software. The TOS and the relationship between you and MYM Solutions Inc. shall be governed by the laws of the State of Florida without regard to its conflict of law provisions. You and MYM Solutions Inc. agree to submit to the personal and exclusive jurisdiction of the courts located within the county of Hillsborough, Florida. You acknowledge that MYM Solutions Inc. shall have the right to take legal action against you if your actions violate the TOS and such violation results in damage to MYM Solutions Inc. or any of its affiliates. The failure of MYM Solutions Inc. to exercise or enforce any right or provision of the TOS shall not constitute a waiver of such right or provision. If any provision of the TOS is found by a court of competent jurisdiction to be invalid, the parties nevertheless agree that the court should endeavor to give effect to the parties' intentions as reflected in the provision, and the other provisions of the TOS remain in full force and effect. You agree that regardless of any statute or law to the contrary, any claim or cause of action arising out of or related to use of the Service or the TOS must be filed within one (1) year after such claim or cause of action arose or be forever barred.